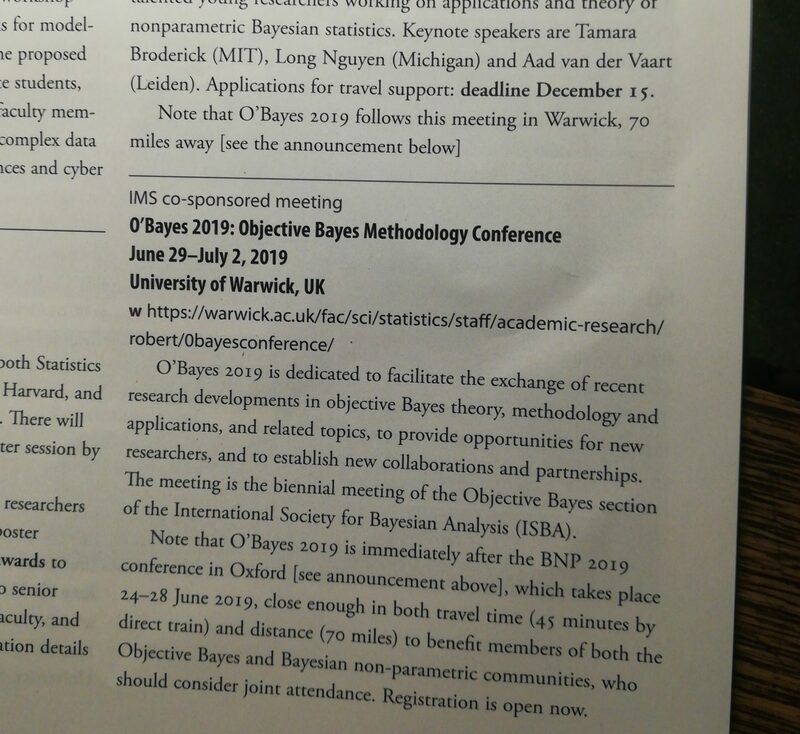 As the announcement for O’Bayes 2019 appeared in the March issue of the IMS Bulletin I just received, let me call for further poster submissions to the meeting. The deadline for travel support submission is past, but poster submissions are welcomed till June 15. (Overlap with BNP12 is not an issue!) Submissions should be sent to me (gmail address: bayesianstatistics) as a one page pdf file. Registration is open, with accommodation options.